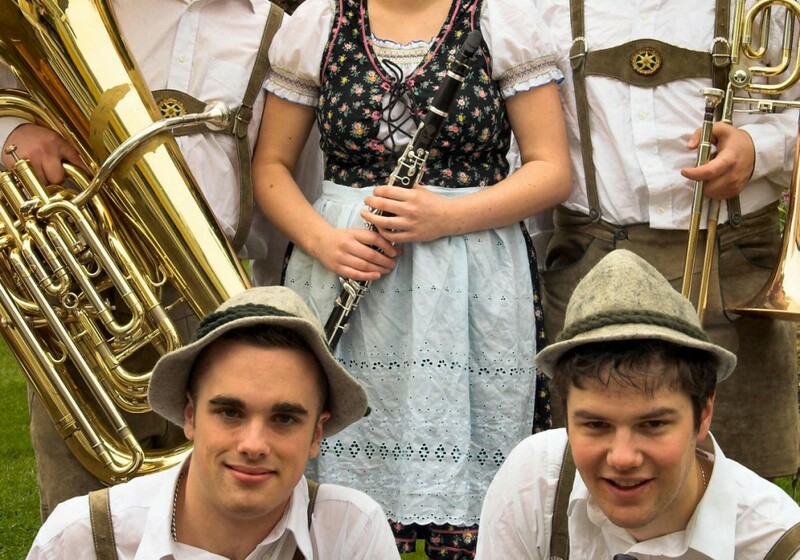 Bavarian and Oompah band for hire. The Bavarian Strollers are one of the country’s most successful Bavarian bands and have been an established German Um Pah band since 1978. 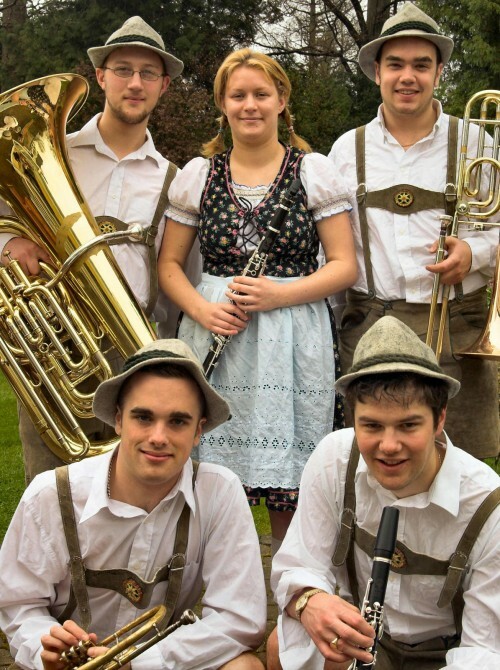 The band uses first class professional musicians and is based on a traditional Bavarian band consisting of 2 clarinets, trumpet, trombone and tuba although the band can also perform with a 4, 6 or 7 piece line up adding accordion and drums. The Bavarian Strollers’ main strength is German Bier Keller or beer cellar nights and they have a vast repertoire of both traditional and popular German music and English sing-along tunes. There are vocals in both English and German and they play in traditional German Lederhosen costume. The band can perform both indoors and outside and can stand, sit or stroll around a venue. They also provide a free German 1 litre stein hire service upon request. The Bavarian Strollers have played at venues around the world including performances in Germany, Italy, the Channel Islands, and Ireland. They have performed at many venues throughout the United Kingdom including Harrods store, the RAC Club, Skibo Castle, various Universities, The Royal College of Music, The Royal Netherlands Embassy, Battersea Bier Fest and the National Caravan Exhibition. The Bavarian Strollers have appeared on numerous TV shows including BBC’s Never Mind The Buzzcocks and Sport Relief and Sky 1’s Vroom Vroom and have appeared in several films. They have also recorded on the Olive Branch Label.